Home AJWS Blog How Are AJWS Grantees Affected by Climate Change? This week, on the heels of the historic People’s Climate March, world leaders will convene for the 2014 United Nations Climate Summit in New York City to take action against the dangerous consequences of climate change. While the world’s developed countries have been the largest producers of carbon dioxide emissions, the world’s poorest countries are unjustly paying the highest price. Communities in Africa, Asia, and Latin America are experiencing droughts, sea-level rises, stronger storms, warmer temperatures, unpredictable rains, the depletion of habitable land, and severe weather patterns that are leaving people hungry, disrupting their livelihoods and forcing them to abandon their homes. At the Climate Summit, world leaders must create a vision that will incorporate a human rights framework to protect the world’s poorest communities. In Liberia, deforestation is a major factor contributing to climate change. SDI, Save My Future Foundation, Foundation for Community Initiatives and other Liberian organizations have advocated for forest sector reforms to curb illegal logging and to improve governance of Liberia’s forest. SDI is documenting and exposing illegal logging permits, supporting communities to identify their customary land areas and setting up systems for sustainable management of communities’ land and forest-based resources. In solidarity with communities, especially women and youth groups, these organizations are mobilizing communities to take control of and sustainably manage their land. Farmers traditionally have used knowledge of weather patterns—knowing precisely when the dry season ended and when the rains would start—to plant their fields with certainty. The abundance of fertile land complemented their precise understanding of the weather, which ensured that food was plentiful and communities were self-sufficient. Changing weather patterns driven by climate change, in part due to deforestation, have changed this. Long periods of intense rainfall and shorter periods of sunshine and declining soil fertility from erosion have affected food production. False solutions to climate change, such as increases in the use of biofuels, have driven demand for farmlands in Liberia. Thousands of farmers are being kicked off their land, land pressure has intensified and fallow periods are shorter. Food production has drastically declined and Liberia now imports more than 60% of its food. In Kenya, climate change has increased droughts, causing poor harvests, livestock loss and a proliferation of invasive plant species in our communities. Cattle-rich families have become poor, water sources have dried up and poor crop yields have caused food insecurity. Communities are now increasingly vulnerable to the high risks of natural disasters. Women and children feel the harshest effects of climate change. 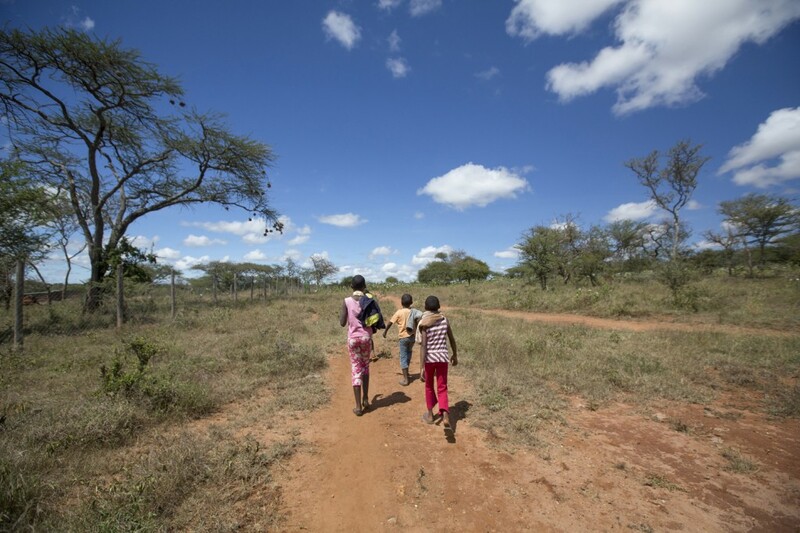 During droughts, young girls are forced to drop out of school in order to help their parents fetch water and firewood. Young boys also drop out of school to help their fathers migrate for greener pastures. Women are left with children and spend their time searching for food and water. When food and water are scarce, ICC must stop our other programs to prioritize our communities’ survival. All sectors of our lives have a link to our environment—in every training ICC conducts, climate change and adaptation come first on our agenda. We’ve conducted conversations in Kajiado, Laikipia and Samburu to learn how communities are using traditional methods to protect the environment and monitor climate cycles. We also train communities to learn the basic principles of international climate treaties. As communities realize the long-term effects of climate change, they’re embracing alternative sources of livelihoods. ICC has created a center for education on climate change and adaption in Inkinye village in Kajaido. On a farm in Laikipia, ICC has empowered communities to turn to eco-friendly bomas, use energy-saving jikos, use solar lights to replace paraffin and harvest rain water. In India, thousands of people face the environmental hazards and physical encroachment of mining companies. KIRDTI is a community-based NGO that works to prevent illegal and harmful encroachment by mining companies on indigenous land. In addition to facing the threat of environmental degradation, KIRDTI’s people face adverse effects of climate change. Irregularity in rain fall and a shorter rainy season have caused crop uncertainty for farmers. Unpredictable lightening has killed people and a number of large domestic animals. Stronger cyclones have destroyed crops and taken people’s lives. Temperatures have consistently increased, killing people and animals and making it impossible for people to go outside for long hours during the day. Water has become scarce, and people must walk long distances daily to obtain drinking water. These incidents have all led to increased prices for local food, abandonment of agricultural livelihoods and migration of people to urban areas for alternative livelihoods—leaving the poorest people the most vulnerable. KIRDTI is participating in a number of national and international workshops and is helping community leaders address the effects of climate change. KIRDTI has conducted community outreach to bring together men and women from villages to share how they’ve been affected by climate change. KIRDTI is also teaching farmers how to use alternative and eco-friendly agricultural practices, including the use of diverse and flood-resistant crops. KIRDTI also helps educate villages on how to conserve their forest, helps villages claim ownership of their forest resources and helps them create their own community forest management laws. In the Democratic Republic of Congo, minority populations regularly struggle to gain control over their own land. 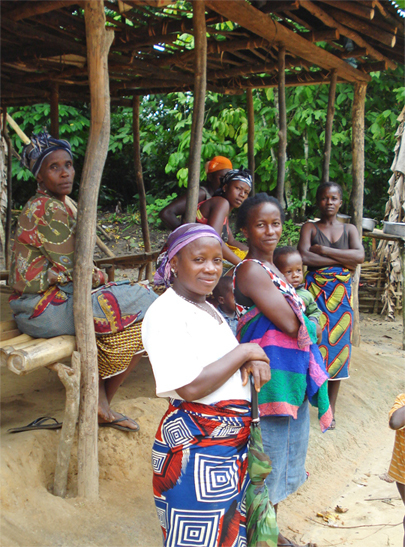 The Program for the Integration and Development of the Pygmy People (PIDP) aims to defend and promote the equal treatment of indigenous Pygmy people as Congolese citizens. PIDP works to secure the Pygmy’s rights to own and control land and forest resources, as the Pygmy largely depend on land and forest resources for their identity and survival. The Pygmy have been forced to abandon their traditional hunter-gatherer way of life because of farming, livestock rearing and mining extraction. The majority of Pygmy now rely on other livelihoods, including domestic work, in order to survive. The Pygmy are highly invested in protecting the DRC’s forests as they’re dependent on using its resources, in a non-destructive way, to survive. To mitigate the effects of climate change on the Pygmy population in North Kivu province, PIDP is working toward sustaining the DRC’s forest resources. PIDP works to protect the Walikale territory and enable indigenous communities to manage their natural resources there. PIDP is lobbying the government to respect the UN-endorsed principle of free, prior and informed consent to protect the way of life and cultures of indigenous peoples. 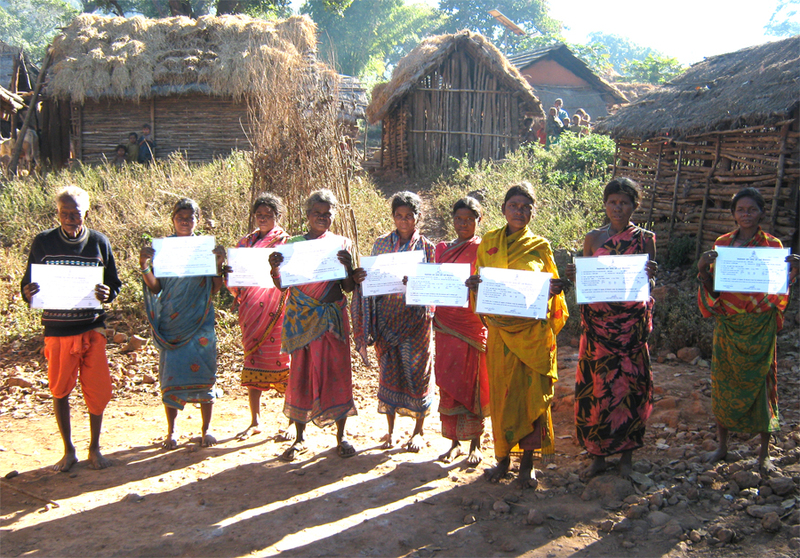 speaks to local villagers about their struggle against the Gibe III dam. Lake Turkana is the largest desert lake in the world, and it provides livelihood to over 500,000 people. Climate change, overfishing, irrigation projects and dam projects have all made Lake Turkana’s water increasingly scarce, affecting the hundreds of communities who depend on the lake for their survival. FoLT was formed to protest the construction of the Gibe III dam in southern Ethiopia, which is perceived to be a potential catastrophe for Lake Turkana and its people and likely to intensify conflict in the region. The organization’s work has since broadened to champion local people’s rights, undertake peace initiatives and implement homegrown solutions to both environmental and man-made concerns within the region. FoLT works to advance the natural resource rights of Lake Turkana communities by advocating nationally and internationally against the Gibe 3 dam and advocating for local control over newly discovered oil resources.